Holiday Gift Guide 2013: Tequila Clase Azul Does Double Duty For Drinking Or Display… | "DESTROY ALL FANBOYS!" While some quality tequilas are marketed through expensively shot TV ads that use handsome and famous spokesmen in fine suits extolling the virtues of paying a premium price for them (while giving the competition a put down or three), all you really need to do is look at a bottle of Tequila Clase Azul to know you’re getting a superb product. One of the highlights of this past week’s Luxury Review was hopping over to the Clase Azul booth to try three of their three quality tequilas and a nifty flavored liqueur. The smooth Clase Azul Plata ($80), the wonderfully aged Clase Azul Reposado ($91), and the pomegranate-infused La Pinta ($65) were at the event and making all who stepped up to sample walk away smiling. Sadly, the very limited edition Clase Azul Ultra ($2,000) wasn’t available at the event, but that’s because a mere 100 bottles are made at a time of this exquisitely aged beverage and those sell out right away to wealthy tequila fans looking for the ultimate and willing to pay more for the privilege. Of course, I didn’t show up just to look at those beautiful bottles on display and thankfully, Tequilas Premium’s Melissa Daniels was more than happy to oblige with samples of each. The Plata is wonderfully smooth with that classic taste, the Reposado’s aging added a lovely color and even more gorgeous hand-made Mexican ceramic bottle (more on this in a bit), and finally, La Pinta’s slightly sweet pomegranate flavoring and light red color made for an unusually tasty clash that works really well on its own, but also makes it perfect for mixing any number of cocktails. 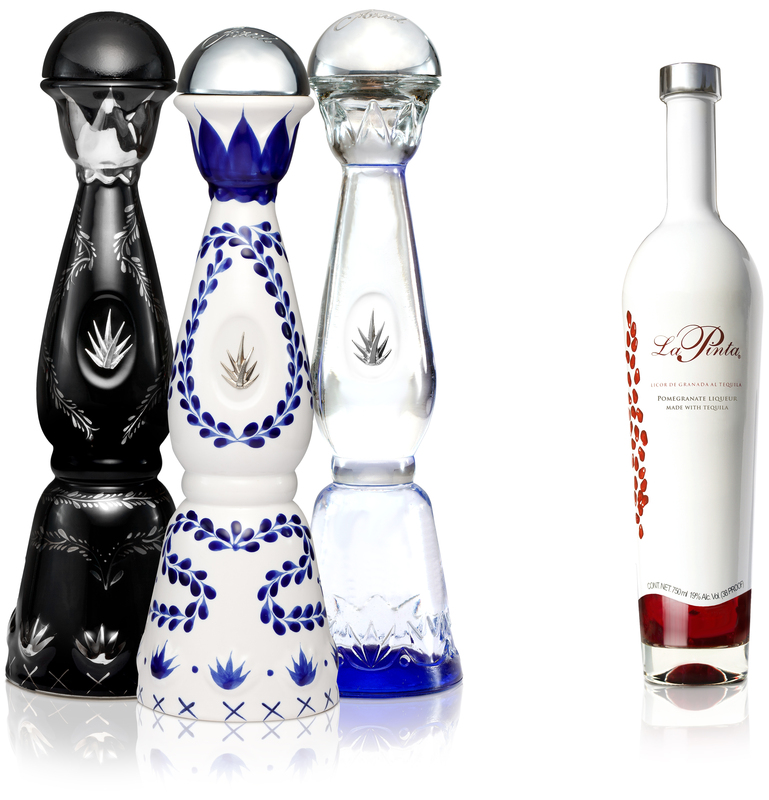 La Plata, Reposado and Ultra start out with organic blue weber agave which goes through different processes for each blend. 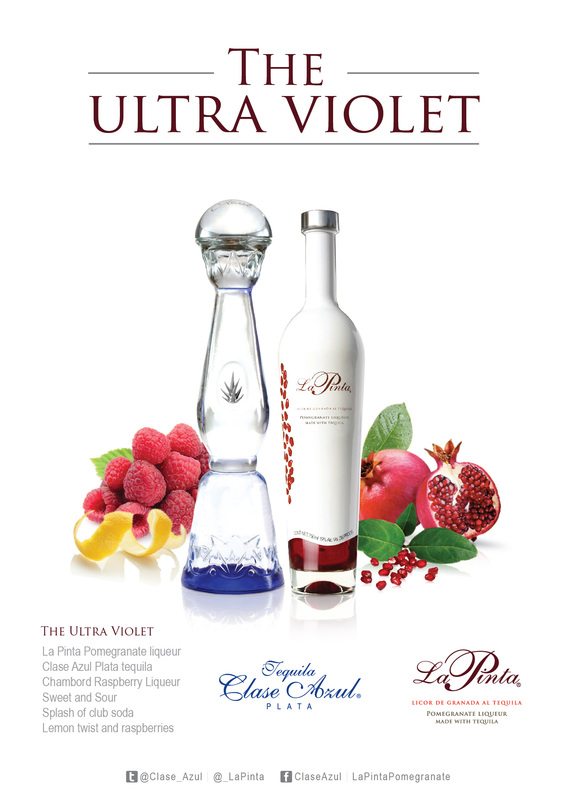 La Pinta gets infused with pomegranate flavoring and that distinctive red coloring before going into its own uniquely shaped bottle. As pomegranates don’t have a strong aroma, La Pinta is very much a tequila to the nose. On the other hand, if it’s the first time you’re trying it, your brain and taste buds may do a back flip as they try and figure out what’s in that glass when you take that first sip. As you’ve probably guessed, Clase Azul’s bottles are so distinctive that they beg to be reused as anything from a vase to an olive or other oil dispenser or even a lamp with some deft DIY skills. Granted, you’ll want to use the ceramic Reposado as that lamp unless you’re REALLY good at drilling holes though quality glass bottles like the one the Plata comes in. Just go with the Reposada and use that empty Plata bottle for your oil or homemade Aioli. If you want to check out some lamps in person, there’s very cool Mexican restaurant here in downtown NYC called El Toro Blanco that has re-purposed Reposado bottle lamps at some tables. (Hmmm… “re-purposed Reposado bottles”… try saying THAT three times fast and after a few shots of tequila). The company very wisely decided to keep production in Mexico and bring money into an indigenous community there by initially using a single craftsman to make hand-make bottles, then later building a ceramics factory that employs locals trained to make and hand-paint each Reposado and Ultra bottle. While they look the same at a glance, up close you can see that every bottle is actually different. When you buy a bottle of Reposado or Ultra (if you can actually get the latter blend), you’re getting an individual work of art to go with that tequila. Each bottle has the initials of the artist on it followed by a number that designates how many bottles that person has painted. Ultra bottles are even more special, as they’re painted with platinum accents and each one features a silver agave medallion and label applied using 24-karat gold. This entry was posted in Holiday Gift Guide 2013, Updates and tagged 2013, Adult Beverages, Clase Azul Plata, Clase Azul Reposado, Clase Azul Ultra, Commentary, Humor, La Pinta, Random Art, Tequila Clase Azul, The Drink's On Me, The Luxury Review by geelw. Bookmark the permalink.